When you need to know how to get rid of bats, just give us a call. We remove bats and seal up homes from bats using Advanced Bat Control techniques. We remove bats from attic spaces and remove bats from walls. If you have bats in the walls, you are likely going to have a bat guano problem! We provide bat guano removal, clean up and odor removal. Call us if you are concerned about the health hazards associated with having bat guano in your attic. We can Help You with that bat problem – with permanent solutions! The secret to getting rid of any bat problem is a detailed bat inspection of your home. The home needs to be inspected and repaired by a bat exclusion professional. Most homes built today are not built tight enough to keep out bats! If there is a gap large enough to insert a #2 pencil, you are vulnerable to intrusion by a bat colony! The most dangerous thing about bat guano is histoplasmosis which is a fungus that can be in the bat guano. When the bat guano is disturbed the dust can be ingested in your lungs and cause histoplasmosis. If the guano is in a location that has the possibility of being disturbed or can get a breeze across it, more likely than not bat guano removal will be recommended. Following the bat guano removal, the affected area will be treated with disinfectant, sanitizer, viruside and possibly an insecticide to get rid of bat bugs, ticks and fleas all which can be associated with a bat infestation. Who is the local bat exterminator or bat removal company? Bat extermination is not the answer! Bats are usually protected so there is no such thing as a “legal” bat exterminator. The correct way for bat control is to get rid of the bats with proper exclusion techniques and bat proofing. Every crack, hole or opening large enough for a bat must be sealed or you will likely get bats in your attic again. Are bats trapped and relocated? We perform LIVE Bat Removal! The bats are not trapped unless we need to catch a sample for testing. The bats can not return to your home because your home will be bat proofed by us. The bats will fly around for several days looking for a secondary entrance to your home. This is why it is imperative to have a bat professional conduct the bat exclusion! It would be a shame to get the bats out and perform the cleanup only to have the bats return later and you would have to start all over again wasting time and money! Proper bat proofing and sealing of the home is the solution to bat problems. I want bats just not inside my house! Can you remove the bats from my house and leave them on the property? Yes! With the addition of a bat house, you can have both. You still enjoy the benefits of having bats around your property but do not have to share your home with them! You need a properly constructed and located bat house for them to move into. We “seed” the bat house with the same bat guano that came out of your home so the bats can more easily adapt to the new structure. Who can install a bat house? Where can I buy a bat house? We can install a bat house which may attract them when they can no longer gain access to your home. With our design, the bats have a large void to fill and can move around to adapt the changing temperatures. We design and install the house based on your individual needs. Don’t waste money on a bat box nailed to a tree; our design works and looks great! What is a bat inspection? Bat inspections are detailed and comprehensive. A bat can squeeze through a gap the size of a #2 pencil. Most houses are not built to keep a bat out! We inspect every inch of the exterior of your home, seal up every gap big enough for bat entry and guarantee our work. Bats spend over half of their lives roosting so where and why bats roost is important to understand our many diverse bat species we have here in Louisiana. Why do bats live in attics? Can you blame them for hanging out around Cross Lake, Toledo Bend or Lake Bruin? They have plenty of water, mosquitoes and beautiful homes to live in! Bats are regularly found in trees, caves, under bridges, vacant buildings and found roosting in an around the attics of homes to name just a few. Do bats have predators? Bats require a safe roosting place away from predators and severe weather including extreme high and low temperatures. Why do bats roost? What do bats do when they roost? How do bats communicate? The bat roost always becomes a communication place between bats and where a bat colony would live together to raise their young bat pups, rest and digest their food and hibernate together. Can I just put mothballs in the attic to get rid of bats? Do mothballs repel bats? Bats have both day and night roosting places. The day roosting place is for extended rest periods where the night roosting places are used for brief resting while eating and over the course of a night bats may rest more than once at different roosting locations. Some bat species use their night roosts to hunt for prey and in tropical regions bats species may use them to call potential mates. Bats may change roosts daily when threatened by predators or have different summer (possibly homes or attics) and winter roosting locations (caves). Mothballs do not work for permanent bat removal. In some cases they will move the bat from the very spot the mothballs are located but they will typically just scoot over a few inches and roost beside the mothballs. This is not the solution to the problem! What are bats doing in my attic? Bat roosts are chosen because of favorable protection against wind, temperature and moisture amounts in the roosting area. Do bats really hang upside down? Most bats roost hanging upside down and unlike humans have evolved to not have all the blood run to their heads. Bats guano smells so bad. Are the bats affected by the odor? Will bats abandon a roost if it smells too bad? Bats that accumulate in large groups like the Mexican free tailed bat have evolved so that they are not affected by highly dangerous levels of ammonia from the bat guano in caves from millions of bats roosting in places like Carlsbad Caverns New Mexico. We remove bats and perform bat exclusions in the following areas in Louisiana: Shreveport, Bossier City, Caddo Parish, Bossier Parish, Red River Parish, Ouachita Parish, Bienville Parish, Union Parish, Tensas Parish. 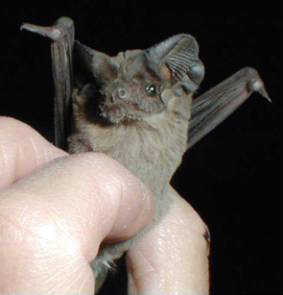 Bat Removal STATEWIDE in Louisiana! Coushatta LA, Monroe LA, Natchitoches LA, Alexandria LA, Tallulah LA, Zwolle LA, Many LA, Logansport LA, Leesville LA, Baton Rouge LA, Lafayette LA, Lake Charles LA, Vidalia LA, St Joseph LA, Delta LA, Lake Pontchartrain, Toledo Bend, Cross Lake, Caddo Lake, Lake Bistineau, Lake Providence, Lake Bruin, Lake Concordia, Lake St John, Lake Saint John, Davis Island.